DAVID LE/Staff photo. 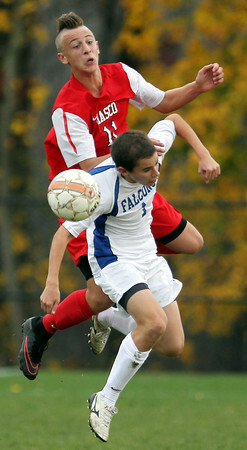 Masco sophomore Michael Budrewicz (11) leaps over Danvers senior Brian Powers (1) to win a header. 11/6/15.